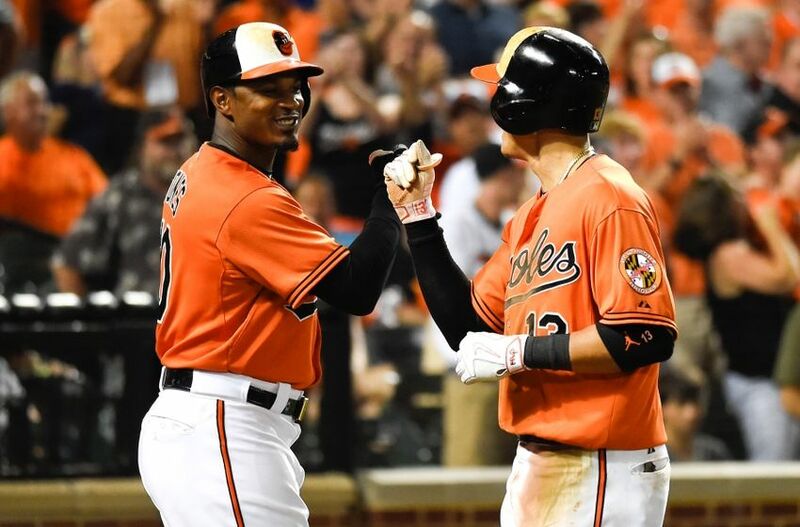 2015 Season: The Baltimore Orioles were the definition of an average team in 2015, ending up with an 81-81 record as they placed third in the AL East behind Toronto and New York. A team that loves to mash (top-10 in the Majors in runs), they struggled on the mound, throwing to the tune of a 4.05 ERA, placing 18th in the game. While they may not have made the playoffs, the 2015 season was the ‘Year of the Manny’ as third baseman Manny Machado burst onto the scene in a big way in his third year in the Bigs, showing off a tremendous bat (35 HRs) to go along with his Gold Glove caliber fielding. Key Additions: The biggest addition the Orioles made, similar to the Royals, was re-signing one of their own in slugger Chris Davis. 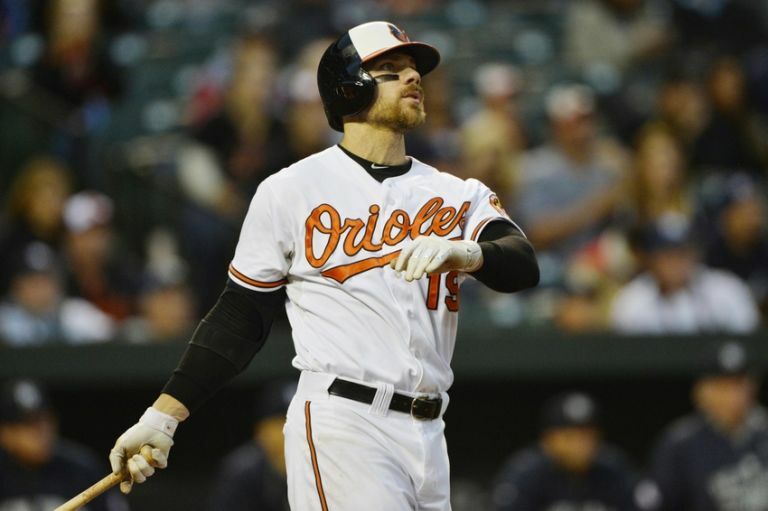 One of the true power hitters in the game, Davis agreed to sign with the Orioles on a seven year deal worth $161 million with $42 million deferred money. The all-or-nothing hitter who led the AL in both home runs and strike outs will continue to be the big lefty bat in the middle of the Orioles lineup. In addition to Davis, the Orioles decided to add a couple more power guys with elevated strike out rates in Mark Trumbo and Pedro Alvarez. Davis, Trumbo, and Alvarez will each see time this year at right field, first base, and designated hitter as all three of them are added to a lineup that lives off of the home run ball. 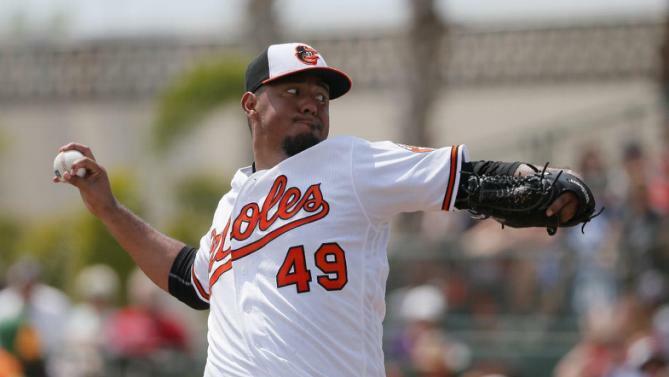 On the mound, they added veteran starter Yovani Gallardo and Vance Worley to round out their rotation. Gallardo comes in on the heels of one of his better years in recent memory and will be relied upon to eat innings for this club. Finally they added outfielders Joey Rickard and Korean import Hyun-soo Kim as both outfield depth and for someone (anyone) to take the reins and man left field. Key Losses: There was only one, count ’em, ONE starter on the Orioles last year who had an ERA under 4.00. That was lefty Wei-Yin Chen who is now a member of the Miami Marlins. Easily the most consistent starter for Baltimore, they look to Gallardo and Worley to fill his shoes. Other then Chen, the Orioles also traded away catcher Steve Clevenger for Mark Trumbo, and waived outfielder Junior Lake. Baltimore also moved on from outfielders Gerardo Parra and Steve Pearce. I’ve mentioned it before and I’ll mention it again, this offense is going to smash the cover off the ball. Along with fellow AL East foes New York and Toronto along with Texas, Houston and Detroit, this offense will be right around the tops in the AL in home runs in 2016. Baltimore will throw out at least 6 players who project for 20+ long balls, many of them with 25-35 home run potential. Not many teams can say that. The problem with this team however will be getting guys on base to make the most of those moon shots smashed out of Camden Yards onto Eutaw Street. Adam Jones and Manny Machado will not be the problem here though as both of them are very good hitters who are not reliant upon the long ball. Both tend to choke up in 2-strike counts and have no fear taking the ball the opposite way. The rest of the team… that’s another story. The trio of Davis, Trumbo, and Alvarez are strictly pull hitters who have trouble putting bat on ball consistently. Like the Astros before, this is a team that will strike out plenty, led by the three aforementioned sluggers, and I find it hard to imagine this team stringing together hit after hit to score runs. I expect that at least 35-45% of their runs are scored via the home run. And when these three are not at the plate, it is a good thing only two of them can play the field at a given time because none of them are particularly strong defenders. Let’s be honest with each other here. I could give you the regular lame speech about this rotation being underrated, filled with decent veterans who should do enough to get by and get the ball to their bullpen similar to the Royals. But that would be a lie. This rotation is a whole lot of garbage with more question marks then a Dr. Seuss book. When only one of your pitchers is expected to throw under a 4.00 ERA (Gallardo is projected for a 3.68 ERA) then you know this is a bad rotation. The worst part of this staff is that I can’t see any of these players turning in a great performance this year. While many teams may have similarly bad rotations, often that is because they are putting in highly-touted young pitchers with great upside. That is not the case in Baltimore as Gonzalez may be the only one of the 5 who could theoretically outperform his projections this year. The rest of the cast… unlikely. Where say the Royals (another team I have discussed with starting rotation question marks) and Orioles differ is that their offense can consistently score runs, is not reliant upon the long ball, and plays stellar defense behind them. The Orioles are none of those things. If you are a fan of the birds buckle up, because this rotation is not going to be pretty. While the rotation may be a metaphorical dumpster fire, the O’s bullpen is excellent, especially at the beck end. 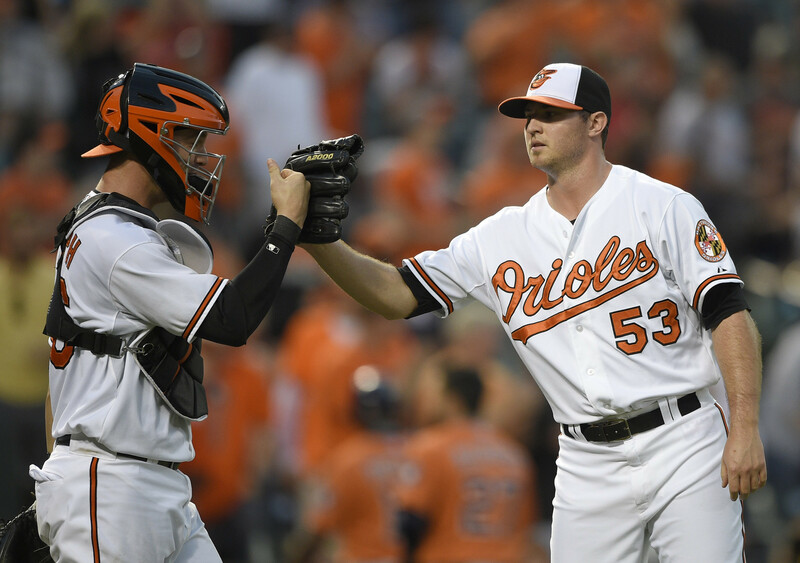 The 1-2 punch of O’Day and Britton has quietly become one of the best bullpen duos in the game, mowing down opponents with high efficiency. Mychal Givens is a similar pitcher, one with good stuff and an ability to keep runners off the base. Few outside of Baltimore are talking about this group, but at the end of the year baring injury this is a bullpen that should be in the top third of the league (however with the suspect rotation ahead of them, they may not have as many opportunities to show it). Second baseman Jonathan Schoop is a player to watch in this lineup. In only 81 games, the youngster mashed 15 home runs and hit for a surprising .279 average. If he can take the next step in his progression we could be discussing him among the best hitting second basemen in the game. Oh, and it doesn’t hurt that he is a plus defender on a team that will be towards the bottom of the league in Defensive Runs Saved. Coupled with Adam Jones and Manny Machado, Schoop could be the next great Oriole to come out of their farm system. He will look to show it in 2016. HBT’s Prediction: It is going to be a long season for Manager Buck Showalter and Co. as an over-dependency on the home run and what could be one of the worst rotations in the league will not lead to wins. With a slightly better rotation, and if they were playing in a different division, this team could fight a bit a hang around the playoff race until midseason or so. Since that is not the case, I’m predicting a very rough year for the birds as the lack of quality starting pitching will negate the excellent back end of the ‘pen will spell disaster. Don’t expect more then 73 wins from this club as they end up last in the AL East.